Who wants to be a (daily) millionaire? At $37 million a day, U.S. billionaire investor Warren Buffett had the biggest wealth gain in 2013, although Asia’s ultra-rich also had plenty to smile about in the Year of the Snake. According to a report by Wealth-X, Japan’s Masayoshi Son ranked sixth with a $10.3 billion gain in the year to December 11, while Hong Kong-based Lui Chee Woo ranked ninth with an $8.3 billion rise in net worth. The survey of individuals with net assets exceeding $30 million, ultra high-net worth individuals (UHNWIs) found that Microsoft’s Bill Gates had the highest net worth of $73 billion compared to Buffett’s $59 billion, with SoftBank’s Son and Galaxy Entertainment’s Lui neck and neck at around $19 billion each. The top 10 list was dominated by American technology entrepreneurs, including Amazon’s Jeff Bezos, Facebook’s Mark Zuckerberg, and Google founders Sergey Brin and Larry Page, although American casino mogul Sheldon Adelson also featured with the third-highest gain. With an average rise of $29 million a day in 2013, the group increased their wealth by nearly 42 percent to a collective $347 billion, up from $245 billion in January 2013. While the report said “Asia’s star is still rising,” the region was hit by a slowdown in China in 2013, with growth propped up by Japan, Hong Kong and Indonesia. Japan benefited from Prime Minister Shinzo Abe’s “Abenomics,” while Hong Kong gained an exodus of wealthy Chinese from the mainland. Growth in the population of UHNWIs was largely due to North America and Europe, with those two regions responsible for a gain of nearly 10,000 such individuals and a total wealth increase of $1.5 trillion. “An economic slowdown in the emerging markets has led to declines of UHNW population and wealth in China and Brazil, the fourth and seventh wealthiest UHNW nations in the world respectively,” the report said. 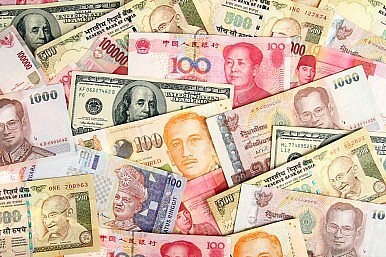 In 2013, Asia’s UHNWIs posted a 5.4 percent gain in total wealth to $6.6 trillion. The number of such individuals rose to nearly 45,000, led by Japan’s 14,270 (the world’s third-highest), followed by China (10,675) and India (7,850). Australia-dominated Oceania saw a modest 2 percent increase in UHNWI wealth to $485 billion, with nearly 4,000 such citizens. Nevertheless, Wealth-X still expects Asia to generate more UHNWIs and wealth than top-ranked North America and second-placed Europe in the next five years. “At the current growth rates, Asia’s UHNW population and wealth will eclipse that of Europe in 2021 and 2017 respectively. While the United States currently leads, Asia is expected to have a larger population by the year 2032, and to have a greater total UHNW wealth in 2024,” it said. Wealth-X said the lingering effects of the eurozone crisis would dampen Europe’s growth outlook, while Africa and Latin America would trail behind Asia. North America is expected to remain resilient to Europe’s slowdown, posting sustained growth in UHNWI population and wealth. However, the outlook for Australia was not so promising. According to the report, “Oceania’s growth will be flat as the mining boom winds down at a faster pace than previously expected,” with the region expected to post the weakest rise of 1.9 percent in average annual wealth over the next five years. The world’s UHNWI population also hit an all-time high of nearly 200,000 individuals with a combined wealth of $27.8 trillion, equating to about 40 percent of world GDP. However, for those seeking to join the rich list, male bankers appear to have the brightest prospects. According to the report, men form 88 percent of the total UHNWI population, with the most significant industries led by finance, banking and investment (20 percent), industrial conglomerates (6 percent), manufacturing (5.5 percent), real estate (4.8 percent) and construction and engineering (4.3 percent). At an average age of 58, the male rich listers have around $138 million in net worth each, of which 70 percent is self-made. By contrast, the non-profit sector was the main industry for female UHNWIs at 15 percent, followed closely by finance at 14 percent, luxury goods at 7.6 percent and industrial conglomerates at 6.7 percent. Unlike the male rich listers, more than half of female wealth was inherited and a third self-made, with an average net worth of $150 million and an average age of 54. Based on the report’s findings, starting your own finance or technology business could be the best wealth move to make in 2014, and there should be plenty of finance available from Asia.